Koelreuteria paniculata, also known as the Pride of India or the Golden Rain Tree, is a beautiful tree that as the common name indicates originates from the far east subcontinent. Brought into western cultivation 250 years ago it is still surprisingly under used as it has so much ornamental value to contribute and is easily grown. Pride of India displays attractive pinnate leaves which are of a pinkish tinge during the spring before greening through the growing season and go to a burnt orange colour during autumn. 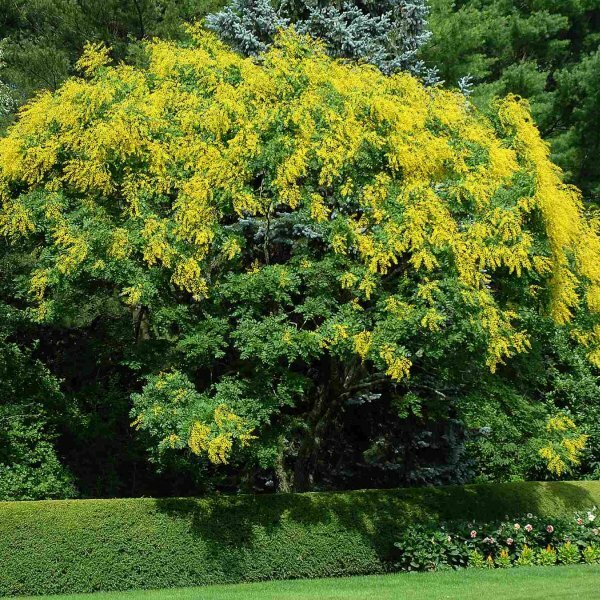 Koelreuteria paniculata is particularly useful as it offers its large panicles of small yellow flowers during the summer months when few trees have blossom. These flowers tend to grow in clusters which look beautiful from a distance as well as up close. The flowers are then followed by lantern like pods containing seeds.